Join us 5/2 and 5/9 to make sure every child is registered for kindergarten! 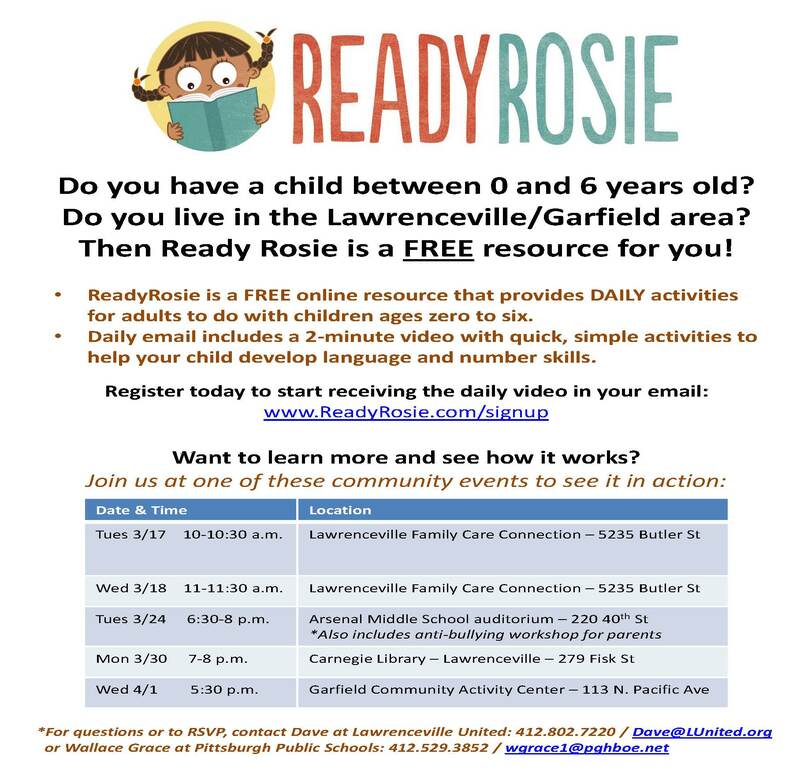 On Saturday, May 2nd and Saturday, May 9th, 10 a.m. – 2 p.m., PEP Rally and its partners are organizing a large canvassing effort in the Lawrenceville, Bloomfield, and Garfield neighborhoods. 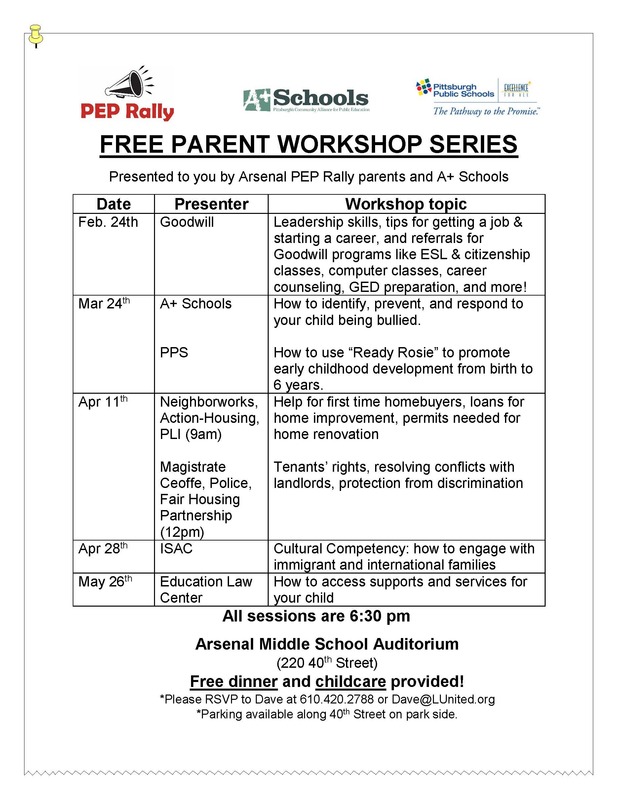 The goals of this effort are to make sure that local families are signed up for Pre-K and kindergarten, let families know about the diversity of resources available to families in our communities, and share news about the positive things happening at our neighborhood public schools at Arsenal and Woolslair. To knock on every door, we need at least 100 volunteers, and we welcome a diverse group of parents, community volunteers, and school staff. Please join our cause and bring some friends! A thorough orientation/training will be provided, as well as refreshments! Sign up by following this link or contacting Dave at 412.802.7220 / Dave@LUnited.org. If your child is turning 5 years old before September 30th, then it’s time to enroll for kindergarten! Join us at the Arsenal Parent Welcome Center at the Arsenal PreK-5 cafeteria at 215 39th Street on Monday 2/9 and Wednesday 2/11 from 8-8:30 AM or 1:30-2:15 PM. Learn what makes Arsenal Elementary an All-Star school! Questions? 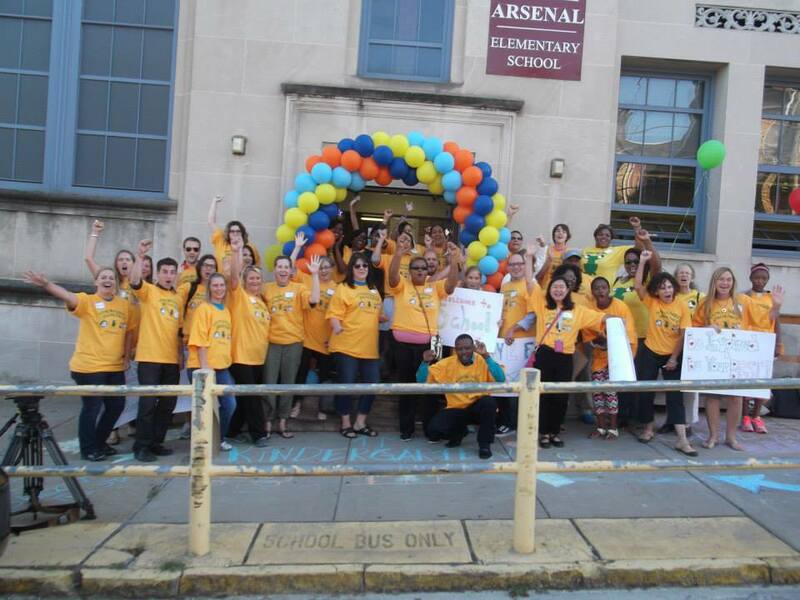 Call Arsenal Elementary at 412.529.7307. Youth Swim Lessons (Open to Community) Coming to Arsenal School! The YMCA and Arsenal Middle School have teamed up to offer youth swim lessons to the community on Mondays and Wednesdays, from February 23/25 to April 13/15, at Arsenal’s pool…all for a very affordable price. There are classes for the following age groups: 6-36 months (parent & child class), ages 3-5, and ages 6-12. All classes are 30 minutes long. For more information or to register, click HERE to download the flyer/registration sheet. Arsenal Middle School is located at 220 40th Street in Lawrenceville. Free tennis clinics at Arsenal Park! The Mellon Bubble is closed on Oct. 4 and CitiParks is hosting all their clinics at Arsenal Park this Saturday (10/4) from 9 AM to 1 PM — for FREE! The clinics are for all ages (ages 4+) and all playing abilities. Raquets are provided, or you can bring your own. Please see the attached FLYER for more information. PEP Rally is partnering with Encounter Church to host a Back to School Bash in Arsenal Park on Saturday, August 23rd from 11 AM to 1 PM. It will be a fun (and free!) family event that promotes a prepared and healthy start to the school year. There will be kids activities, a bounce house, free food, backpack giveaways, health information, and local schools and youth programs will be on hand to sign kids up for fall programs. Come enjoy some fun in the park and get signed up for local programs for the fall! For questions, please call Dave at Lawrenceville United at (412) 802-7220 or email Dave@LUnited.org. 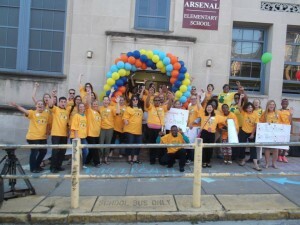 Help shape the future of Pittsburgh Public Schools! In December 2013, PPS released the plan “Whole Child, Whole Community,” which was created with feedback from the community. The Plan sets forth a path to help the District address two critical issues–financial stability and academic performance as well as reach our vision: ALL children will graduate from a two-or four-year college or receive a workforce certification. The PPS leadership team will be sharing the plan, hearing your thoughts and ideas, answering questions, and finding ways for you to stay involved moving forward. We Love Woolslair Night is a family fun night for current Woolslair families, and also potential Woolslair families within Woolslair’s feeder area. Activities will include bingo, face painting, luminary decorating, make your own Mardi Gras mask, free dinner, and more! The kindergarten teacher will be on hand to lead pre-K activities for young children who are approaching kindergarten. The event is also an opportunity to get information about enrolling at Woolslair for 2014-2015. Woolslair is the neighborhood school for Lower Lawrenceville, Bloomfield, Polish Hill, Friendship, and the Strip District. To find out if you’re in the Woolslair feeder pattern, or for more information, please call the school office at (412) 623-8800.